Need a genre-crossing tabletop RPG system and setting? Want to read supernatural fantasy? Interested in a wanna-lancer opportunity or concrete steps to expand gaming? I’m counting down four Kickstarter projects that range from fantasy zombie apocalypse to samurai on motorcycles and all of them look awesome! Ends on Thursday, June 29 2017 2:31 AM EDT. “The Triten Gaming System is a fun and innovative new framework for tabletop Pen & Paper RPG’s designed to be simple and robust. 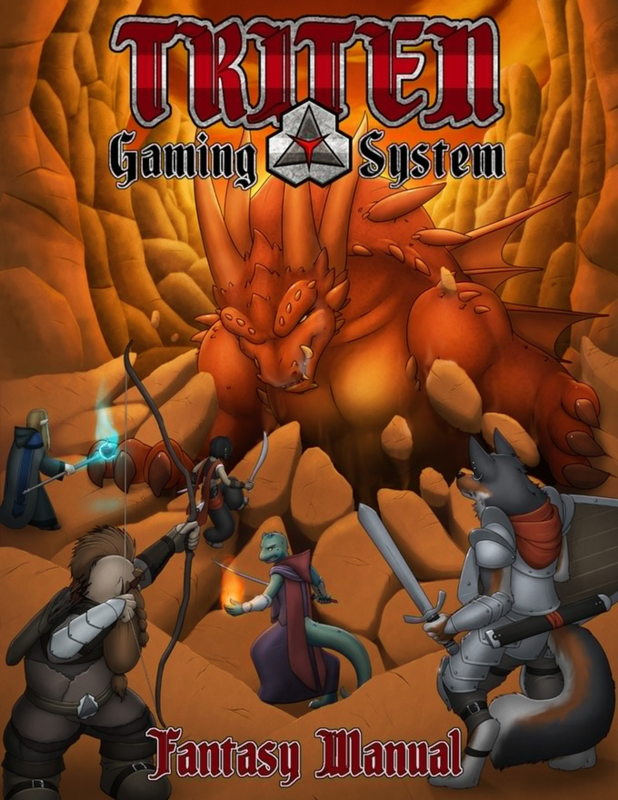 The Triten Gaming System is a whole new system of Pen & Paper RPG mechanics designed from the ground up to be both straightforward and robust, allowing for a relatively simple set of rules to work for an extremely diverse set of circumstances. The Fantasy Manual is the first version of the Triten Gaming System which is focused on medieval fantasy. Along with the manual, all you and your friends need are some polyhedral dice, pencils, paper, and your imagination! Triten uses a skill-based structure instead of a level-based structure of character advancement. Individual experience points earned as a character progresses through the world can be directly applied to any of dozens of different broadly-used Skills and additional specific, individual abilities called Talents. Characters can also craft or purchase a wide variety of equipment and learn hundreds of different spells over 7 unique schools of magic. Let’s start with this – David Prizio, creator of the Triten gaming system, is a nice individual. I was not aware of Triten until I met David through #rpgnet. We discussed my wanna-lancer experiment and he shared his Kickstarter that happens to have some vanity press options with it. For the wanna-lancers of the world, this campaign offers the chance to create a NPC using their proprietary system and have a custom illustration done. Immortalize your character at the ground floor of a new RPG. A lot of opportunity with this. But what is the Kickstarter for? Triten is a single system that will span a variety of settings. For the opening, they’re offering a fantasy setting. I recommend checking it out if for not other reason than David is a good guy. Ends on Thursday, June 29 2017 1:05 PM EDT. “Angelica Reigns: The Faith is a 22 page, full color action comic about a young woman being hunted by an ancient religious cult. 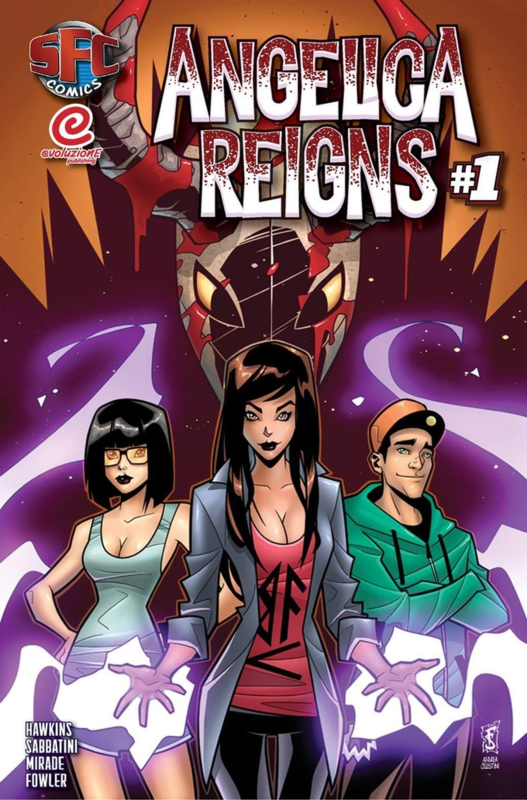 Angelica Reigns is the first solo series of the SFC Comics line. SFC is world of super powered sports entertainment. These solo series are a chance to get to know the characters outside of the ring. Let’s do another guy post – Marcel Dupree is one of the most pleasant people in comics, and the writer of Angelica Reigns. If you float around enough Kickstarters, you’ll find some incredibly likeable people. Marcel is near the top of my list. He pinged me on Facebook one day to see if I’d look at his Delilah Blast #1 Kickstarter. I did and it sold itself. Since then, we talk here and there and I follow his comic wisdom and crowd participation insights. If you are interested in knowing how the sausage of indie comics is made, I’d suggest following Marcel on Facebook. “This one has the feel of maybe a Buffy style of story for Angelica. A young girl, fighting against supernatural forces bigger than herself, and, from the looks of it, has a couple of friends to help her on her travels. Consider me intrigued by the overall idea. Ends on Friday, June 30 2017 9:00 PM EDT. “The classic cinematic multi-genre RPG returns with updated rules, settings, full-color art, and a whole new Possibility War! Torg Eternity is a table-top roleplaying game based on the original 1990 version of Torg created by West End Games. It has been re-imagined and updated for the Near Now. The “High Lords” came from other cosms—other realities—conquerors joined together to steal the Earth’s living energy…to consume its very Possibilities! …and the terrifying, demon-ruled wasteland of Tharkold! 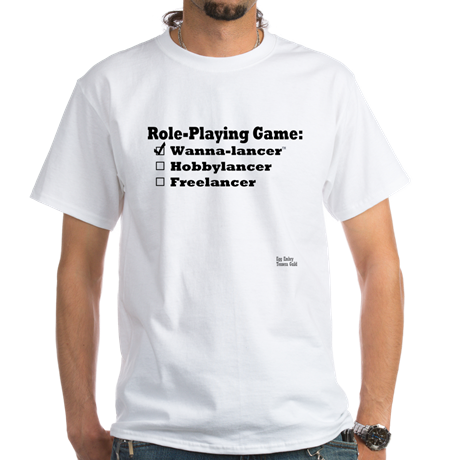 While this RPG does not include any wanna-lancer/vanity press rewards, it doesn’t have to, it’s Torg! A branching from the original Torg RPG (1990s), this Kickstarter is a re-launch/expansion with revised mechanics, yet they do not invalidate the previous meta-story of Torg 1e. Not only do they have 2e available, this campaign includes everything that was ever published for Torg 1e. I picked up the Free RPG Day Torg Eternity quickstart. It’s a variation on the upcoming Torg 2e rules. Made without using any cards (they play a large role in the standard game), this version of the rules still gives a feel of how much potential this game has. It’s an interesting concept combining genres into a single world. If you’re looking for an in-depth view of this, I attended an online Q&A with Darrell Hayhurst about Torg Eternity and Dan Davenport has the questions and answers on his blog. Read about the game from Torg Eternity game designer, Darrell Hayhurst. By the by, Dan Davenport is as nice a person as you’ll meet. Darrell Hayhurst was extremely pleasant during the Q&A. Ends on Monday, July 3 2017 3:00 AM EDT. 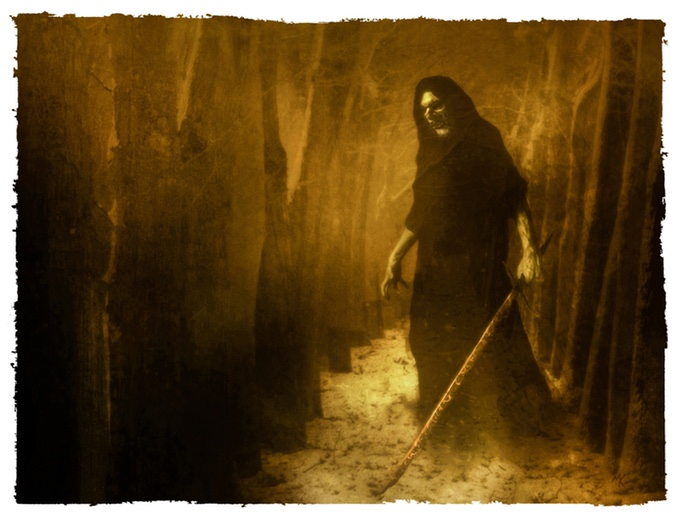 “Fifth Edition roleplaying in a world ravaged by death and undeath. The city is called Redoubt. And as far as anyone knows, it is the last. Seven decades ago, there were cities upon cities. Kingdoms and nations; the remains of ancient empire. Cultures at war and cultures at trade. Humans, dwarves, elves, and others. Magic and monsters, rare but real. And so it was for millennia, through two dynamic ages the lorekeepers and scribes called Ascensions. Most call it the Fall, but whatever term a given people choose to use, it marked the time when everything changed. Nations crumbled. Races died. Magic sputtered. Nature sickened. Beyond that freelancer opportunity, this is a 5e setting/expansion. It seems like it will be a moody combination of The Walking Dead meets Attack on Titan. Last fantasy city in a zombie apocalypse. Tragic, hopeless, dark fantasy. This Kickstarter does an excellent job of conveying the feel of the product they’re creating. I am looking forward to reading this setting and the adventure that Kate Baker and Anna Landin are designing. And I hope to see more opportunities to expand the industry coming from all quarters. Tagged Angelica Reigns, Anna Landin, David Prizio, Green Ronin Publishing, Kate Baker, Kickstarter, SFC, The Lost Citadel, Torg Eternity, Triten, Ulisses Spiele, Vanity Press, Wanna-lancer.